A Desktop is commonly referred to as a physical computer unit, as well as a graphical user work space on a software operating system like the Windows Desktop. This article compares the Desktop computer to the Laptop computer units. The most common components of a Desktop is the computer terminal powered by a grounded electrical source i.e. a wall socket. To be fully functional, the Desktop is connected to an external monitor, keyboard, and mouse via Bluetooth, WiFi, or USB, HDMI, and VGA cable connections. If the Desktop is not configured for WiFi, Bluetooth, or has the necessary ports for USB or HDMI, these would have to be installed manually, probably at an additional cost as the average user may not necessarily have the technical know-how to set this up. The default factory specifications vary and there are enough choices out there to suit different consumer needs, starting from entry-level computers with smaller hard drives and lower processing power to high spec computers used for gaming, multimedia design, or as servers. Having separate parts connected to make up the Desktop unit means it is not easily transported between office and home, or easily used while traveling (if at all possible), so Desktops usually reside in a permanent place. A Laptop (also known as a Notebook), is an all-in-one computer that uses batteries or AC power that can last for several hours. Unlike the Desktop, the Laptop computer is easily transported and can be used as long as the battery lasts. However it is becoming very common for public places to have powering units available for phones and Laptops so they can be used almost everywhere! Laptops come in various sizes with various specifications. Like the Desktop, the type of computer depends on the consumer needs. A Laptop has a built-in monitor, keyboard, and typically a touchpad (or trackball). External peripherals can also be connected using different cable connections, depending on what ports are provided by manufacturer. 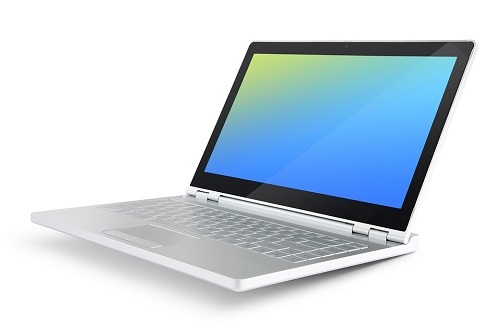 Essentially, the Laptop can be used as a fully functional unit without any connected devices or power. As technology advances, the Laptop is becoming more popular with the average consumer and the preferred computer for business users, especially those who travel for work. Most Desktops and Laptops are sold with pre-installed software and operating systems like Windows 7, or if it is an Apple computer, then the Mac OS. Both computer units come with port connections (varying between each make and model), and a built-in CD/DVD component, however this is being phased out in some of the newer Laptop models. Peripheral devices can be connected such as external hard drives, printers, cameras, and phones, etc. These specs determine the computer’s limits so if video production is the primary task and the computer has a low end graphics card, then the computer (laptop or desktop) will not be well suited for the job. The biggest and most noticeable difference is the Desktop needs basic external devices to be fully functional, whereas the Laptop has all necessary devices built-in, making it the most portable. A Desktop stays in the office or home and needs the computer terminal to be connected to an external monitor, keyboard, and mouse; whereas the Laptop has the built-in components and thus easily transported as one complete device that can be used in most environments. The Laptop can run off AC power, batteries, or mains power, whereas the Desktop can only run off the main powers. It is not manufactured for any battery use. The Laptop battery has improved over time, and can last up to several hours, depending on how much processing power is being used and keeping WiFi or Bluetooth connections open, increases the battery power consumption. Although the Desktop and the Laptop are becoming more equal in terms of speed and performance specifications, the Desktop still remains as the more powerful choice for activities such as gaming and video production. Buying a Gaming Laptop with similar specs to a Gaming Desktop would be at a much higher price than a Gaming Desktop. If the computer is needed for basic office processing, internet usage, and photo viewing, then a standard Laptop would be perfectly suitable. Generally, Laptops are known to have lower specs than Desktops, as there is a compromise on size and portability, vs performance and speed. Desktop monitors can vary from small 15 inch screens to larger ones such as the 34 inch. Laptops have built-in screens which also have varying sizes. The larger the screen, the larger and heavier the Laptop, however if a small Laptop is purchased for easy mobility, it can be connected to a larger external monitor if possible. If connecting an exteral monitor to a Desktop computer that permanently stays in one place, then the size of the monitor would not be a restrictive factor as it is setup once and not necessarily moved so the weight is not an issue. For storing very large amounts of data, the Desktop computer would be a better choice and if needed, additional memory can be added to improve performance, or the hard drive can be replaced. Laptops cannot be so easily expanded as the Desktop. Backups are recommended for all data, whether it resides on a Desktop or Laptop, however if using a Laptop is would be essential to have backups as the risk of losing data increases with mobility due to theft, loss of computer, physical damage (dropping the computer), etc. Although Laptops are becoming more highly spec’d and configured for performance, the Desktop still has the upper hand. Besides budget, the biggest deciding factor would be Performance or Portability. 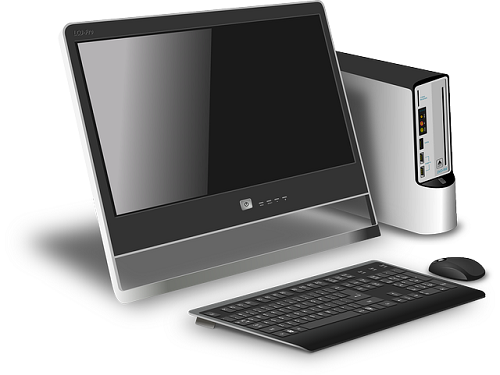 Portability Desktops need external devices to be fully functional thus making it cumbersome to constantly move or transport a the computer. It usually resides in one place. Laptops are highly portable as a complete all-in-one purpose device making them easily transportable. Performance Desktop processors have always led the way with larger processors making them more powerful than Laptops. Laptop processors are catching up to the Desktop but they still have size limitations to fit with portability. Ease-of-use and assembly Desktops need to be manually setup by connecting the necessary devices while avoiding cable chaos and they require larger work areas than Laptops. Laptops simply need to be powered and opened before being ready for use. There is little to no effort for a basic setup. Cost Entry-level Desktops are relatively affordable for most consumers. There is a large variety of peripheral devices available at additional cost but most packages are cheap enough for the average household. Entry-level Laptops have a higher starting price than Desktops. The higher the specs, the higher the cost which can increase considerably for Laptop models. Monitor and Keyboard There are no limitations to the size and weight of external devices as the Desktop is not intended for portability. The size of the screen and keyboard determine the size and weight of the laptop, which needs to be considered as it is intended for portability. Upgrading Components within the Desktop computer (terminal) can be removed and replaced and in most cases allows easy upgrading of storage capacity, memory, graphics controller, etc. In Laptops, only the hard drive and memory can be replaced, but other cards and components cannot be removed. To upgrade any other aspect, would require purchasing a new Laptop. Maintenance and Repairing It is a lot simpler to fix components in a Desktop computer as it allows the removal and replacement of many parts available from most computer hardware stores. Because of the compact design and non-removal of most components in a Laptop, it requires technical expertise to repair. Gaming Desktops are considered more powerful for Gaming as the graphics and video cards can be top end with no limitations on power consumption and more than one video card can be installed. Laptops are limited to space so limits the size of some components. Gaming Laptops do have above average specs but they are still limited to space to keep them portable. The power consumption on an unplugged Laptop will increase drastically with gaming activities. Gillian Douglas. "Difference between Desktop and Laptop." DifferenceBetween.net. October 17, 2017 < http://www.differencebetween.net/technology/difference-between-desktop-and-laptop/ >. Clements, Alan. Principles of Computer Hardware: Fourth Edition. OUP Oxford, 9 Feb.2006. Print. Meuller, Scott. Upgrading and Repairing PCs: 22nd Edition. 17 Jul.2015. Print. White, Ron. How Computers Work: The Evolution of Technology. 18 Dec.2014. Print.